George Wharton Edwards. 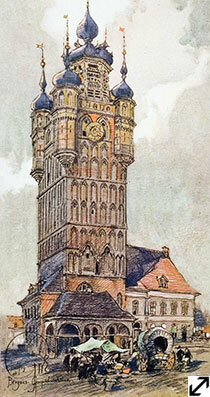 The Belfry; Bergues. Vanished Towers and Chimes of Flanders, 1916. Greenwich Historical Society, William E. Finch, Jr. Archives, Gift of Edmund Hecklau. The cross-cultural ties between the United States and France were strong in artistic and literary circles. Charitable groups formed, raising funds for civilian relief and disseminating firsthand reports of the suffering and losses caused by the War. Organizations, such as the Greenwich College Women's Club and the Greenwich Chapter of Alliance Française, also moved quickly to support relief efforts and educate about the situation in France and Belgium. George Wharton Edwards, who had studied in Paris and Antwerp before coming to Greenwich in 1912, was well known for writing and illustrating travel books. During the War, he drew on his early drawings and created volumes commemorating the French and Belgian art and architecture that had been destroyed. 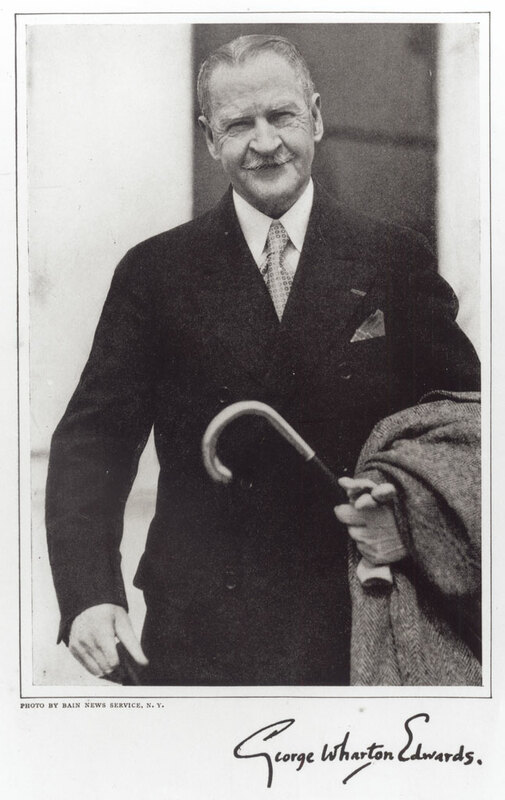 In 1915 he was among those who donated rare books for sale at the Authors Club in New York to benefit Belgian refugees.